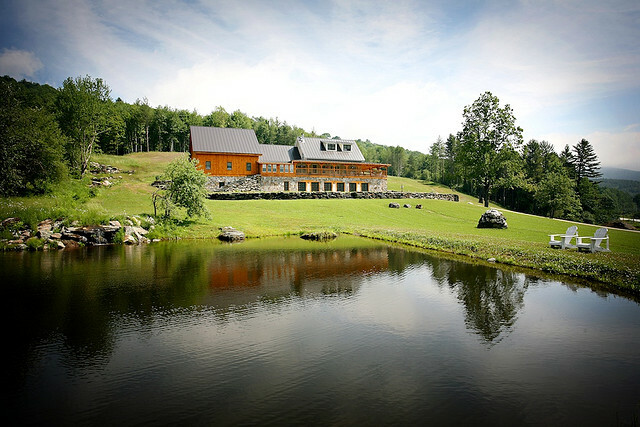 1888 Builders Wedding Rentals is based in the beautiful New England town of Pittsfield Vermont, just up scenic route 100 from Killington Vermont, and quieter cousin to Woodstock Vermont. When you come to Pittsfield, spend the night in one of the beautiful properties: Trailside Inn or Amee Farm. Stop for a meal at Pittsfield's Original General Store, ride or hike the Green Mountain Bike Trails, then tour 3 beautiful wedding sites in one day at: Riverside Farm, Amee Farm, and Trailside Inn. For more information, please call 802-746-8934 or by email.